Is there anything better than a swap? (Nope!) 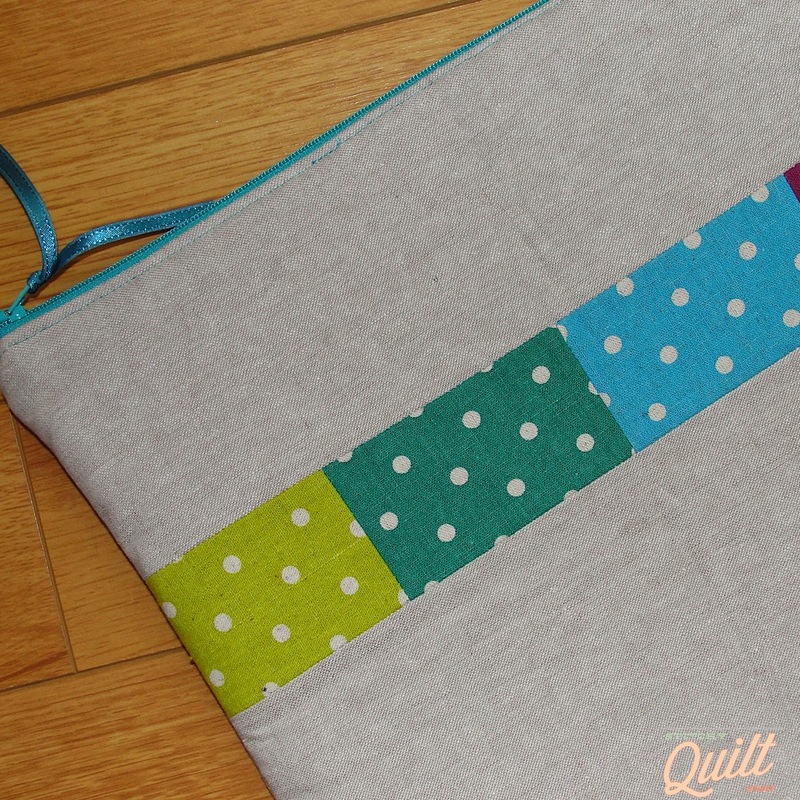 I signed up to participate in a little swap following the Sew South Retreat. 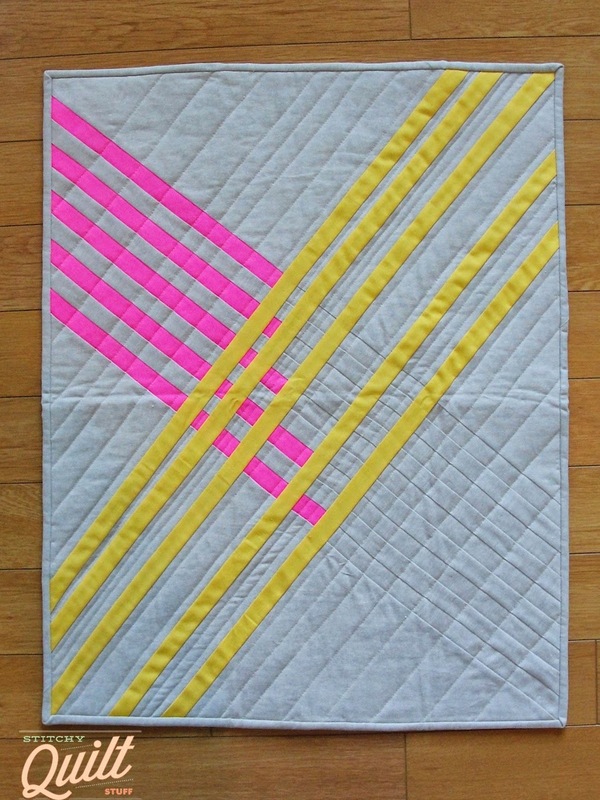 I decided to make a super modern mini quilt with neon pink, lemon yellow and linen for my partner. It's a little wrinkly in the photos, but I really love how this turned out. Construction was fairly straight forward once I figured out what I was going for. 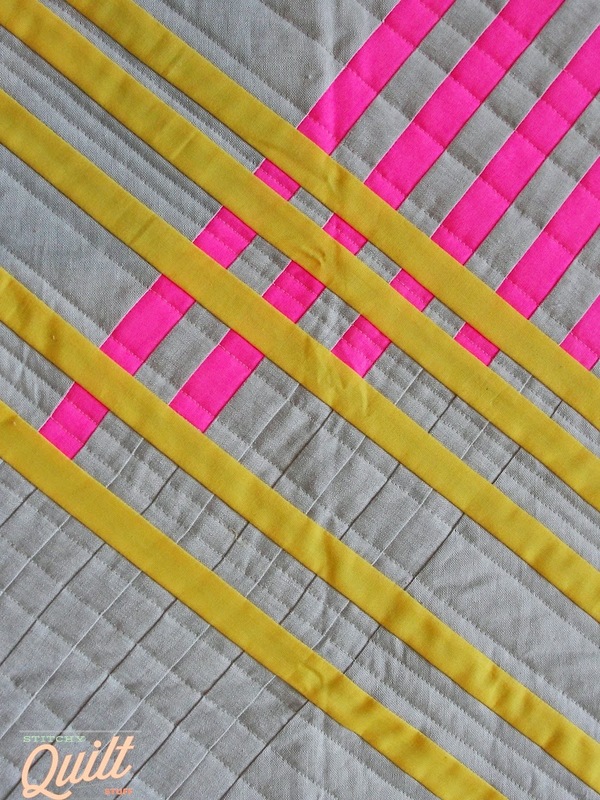 I basically cut in the colorful strips into the background—the pink first, then the yellow. 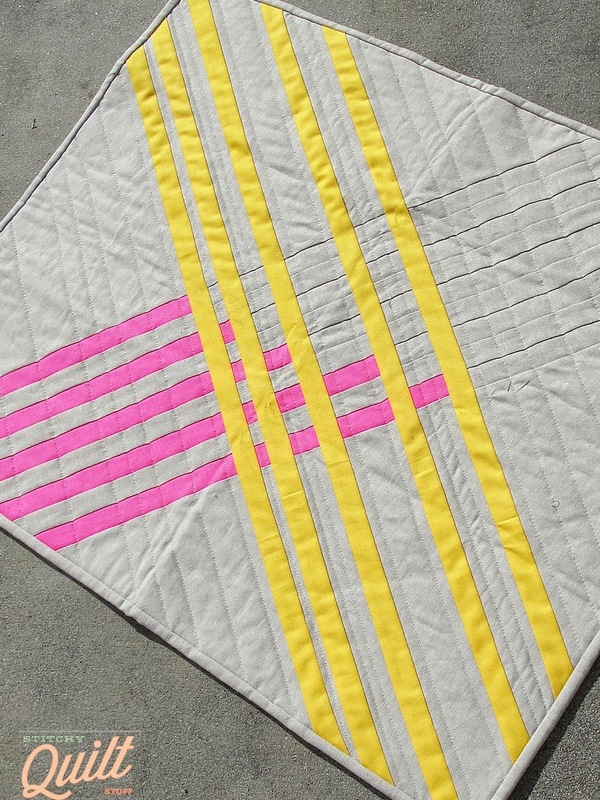 I quilted parallel to the yellow strips at varying widths. I shouldn't even show you the back because holy COW, did that sucker pucker up, but whatever—I still like it, even if it's not perfect! 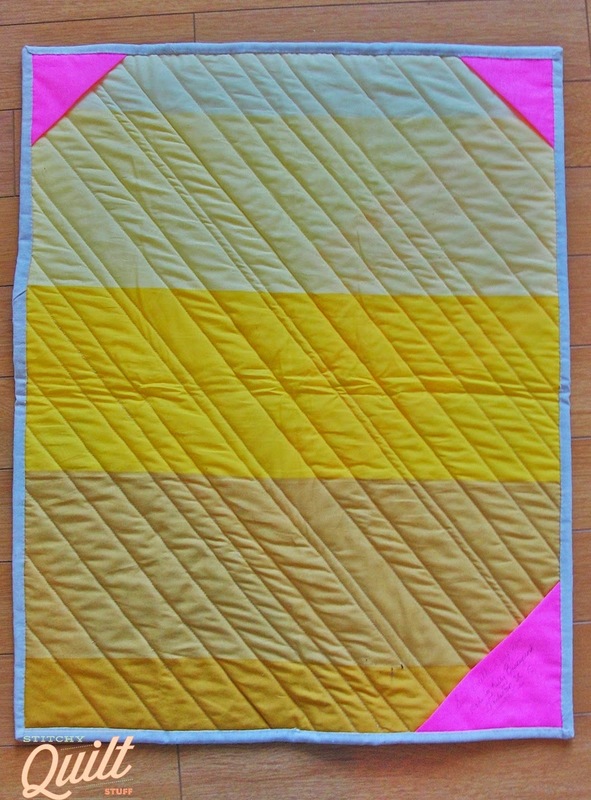 I had this cool piece of gradated yellow fabric in my stash, and it went perfectly with the pieced-in yellow strips. It was a little thin, and I basted with pins instead of spray, both of which didn't help with the pucker situation. 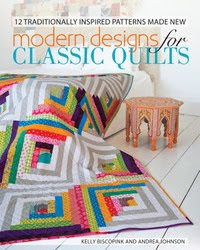 But I figure it's a mini quilt, destined for a wall, so it's fine. The pink corners on top are for hanging, and the one in the bottom right corner is a little label. 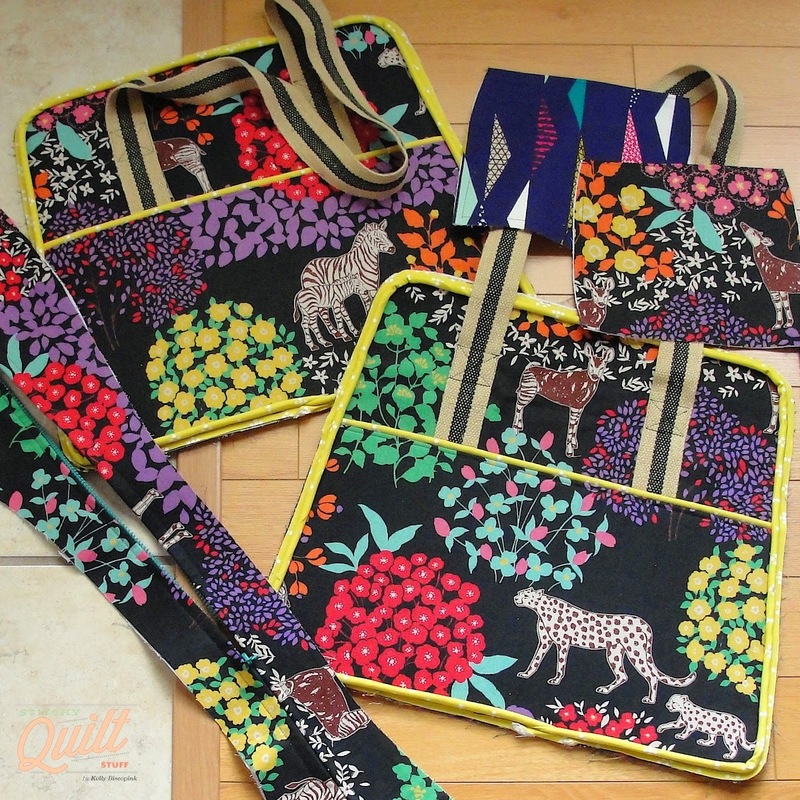 My swap partner, the lovely and talented Asha, sent me this amazing embroidery hoop bag. 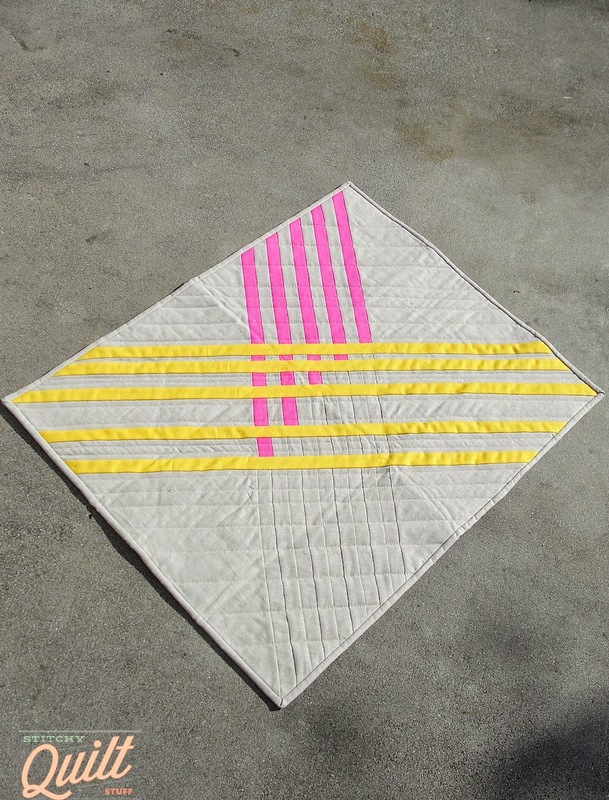 We all got a little addicted to embroidery during Sew South, thanks to Alison Glass, so Asha figured this was a safe bet - - - and boy was she right! 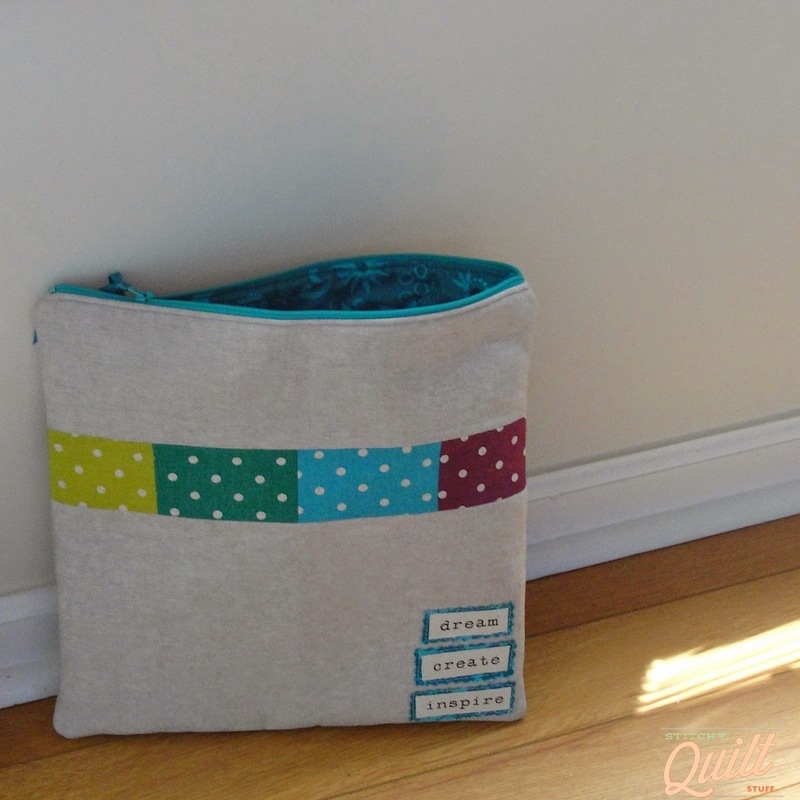 One of my (several) current cross-stitch projects is living in this bag, so I'm using my awesome swap gift every single day! 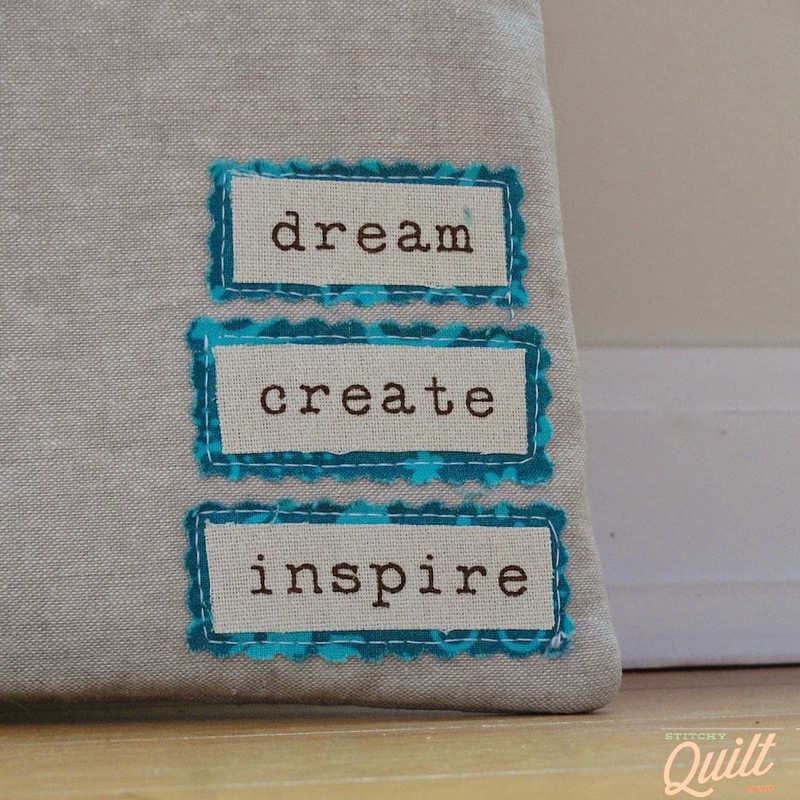 I think my favorite part are the little words of inspiration in the bottom corner . . . .
Last but not least, I'm working on Amy Butler's Weekender Bag. Some of my buds in Charleston convinced me to jump on the bandwagon and make one of these (kind of terrifying) bags. 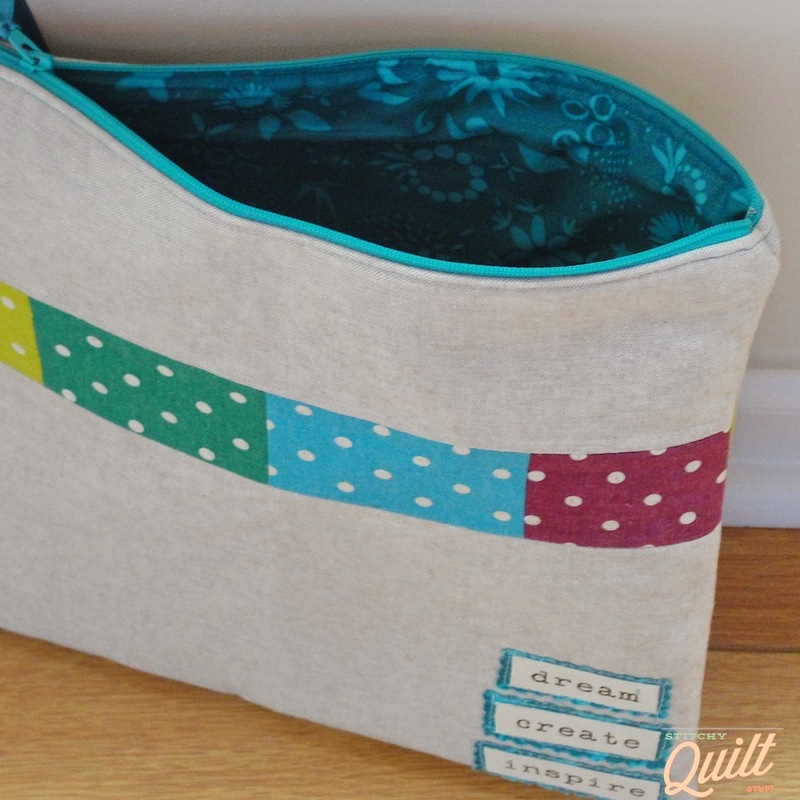 We got a little kick in the pants to get started when a 2014 Sew Along was announced - - you can read about the Sew Along here, hosted by Modern Handcraft, Sew Lux, and Love By Hand. 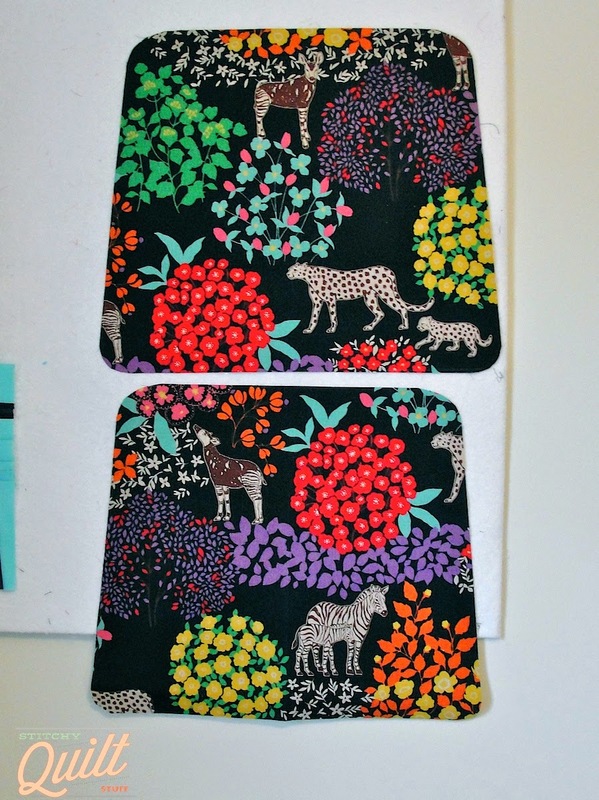 I'm using an Echino print for the main panels, Pennants Waving by Rashida Coleman Hale for the lining and Domino Dot in Starfruit by Violet Craft for the piping. I'm using store-bought strapping for the straps. Here's my progress so far!